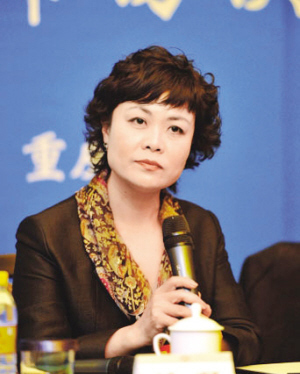 Tie Ning, born in Beijing in 1957, with her ancestral hometown in Hebei province, is the current president of the Chinese Writers Association. She began to publish her literary works in 1975. Throughout her long literary career she has produced more than 50 novels and collections of essays, a total of over four million words. Her major novels include The Gate of Roses, Les Grandes Baigneuses and Benhua. She has also written over a hundred novellas and short stories, including Oh, Xiangxue!, The Twelfth Night, The Red Shirt without Buttons, The Women Opposite and How Long Is Forever? In 2007 the People's Literature Publishing House published a nine-volume collection of Tie Ning's works. She has won six national literary prizes, including the Lu Xun Literature Award, and received more than 30 honors for her novels and essays. The movie Oh, Xiangxue! adapted by Tie Ning from her short story of the same name received high honors at the 41st Berlin International Film Festival, and China's Golden Rooster Awards for Films and Hundred Flowers Awards for Films. Publications Two Novellas: How Long is Forever, tr. Qiu Maoru and Wu Yanting (Better Link Press, 2010, Shanghai Press & Publishing Development Co.).